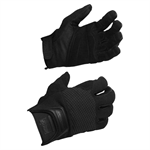 Pro leather gloves are perfect for those jobs that are especially hard on the hands. When anything less than a leather glove won't do. Top quality leather construction throughout. Leather knuckle panel provides increased protection. Genuine leather, extra gel-foam padding in palm. Great for rigging and stagehands. 2-way stretch spandex top. 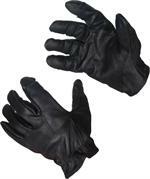 Flexible,soft, durable and breathable leather palm. 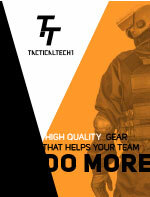 Omni-directional stretch fabric offers flexibility and excellent airflow. Palm manufactured of synthetic leather. Double thickness in palm with DuPont Kevlar® thread for long wear.